Rafael Barril Figueras came to the Priorat in 1931 wanting to find an estate where he could make wine. He heard that Mas d’en Gil was for sale and decided to buy it, re-naming it with his family name: Masia Barril. At that time, the estate had a winery, stables and barn and Rafael Barril Figueras, an engineer by trade, decided to build a house to live in. It was a challenge as the estate is located in an area where the wind blows strongly, so he decided to build a solid metal structure which was a very new development in those days. He used the two underground wine vats as water cisterns to collect rain water. Towards the end of the summer months, when water started to become scarce, they would keep this water for the grape harvest activities and would fetch water from the Font d’en Fontà natural spring with the mule. La Font del Fontà would later on, lend its name to the wine, Clos Fontà. Another important decision was to continue the tradition of planting olive trees on the boundaries of the estate in order to mark out the property. This has become a symbol of the estate’s identity. Due to the economic crisis of the time, Rafael Barril Figueras employed men of the village of Bellmunt del Priorat on fortnightly contracts during the times when specific work on the farm was not needed. He sent teams of them into the forest to keep the paths clear and accessable. 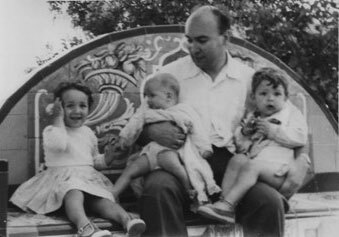 It was at this time that he had a bench built in the woods which is still there today. Rafael Barril Figueras died in the autumn of 1936 and paradoxically his death was related to the farmhouse to which he had dedicated so much care and effort over the years. Rafael Barril Dosset, who was just 6 years old when his father bought the farmhouse, became very attached to the land and wine production. On the death of his mother, he inherited the estate. Masia Barril initially sold its grapes every year to Bodegas De Muller, which used the wine to mix in with other Wines to make their sacramental wine (Vi de Missa) for which it had the authorisation of the Vatican. Towards the end of the Seventies, De Muller stopped buying the grapes and Rafael Barril Dosset was forced to find other customers. It was at this time that he entered into a contract with the wine critic, José Peñin, who bottled the wine for his wine club for the 1980 vintage. It was the first ever bottled Masia Barril wine and was the beginning of a new era. 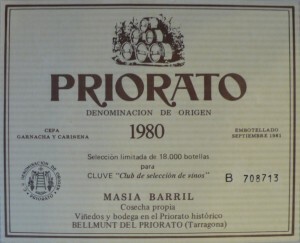 The Barril family always wanted to make a “New Priorat in the old style”, by using new knowledge and current winemaking techniques to improve quality, but maintaining traditional characteristics. Rafael Barril Dosset believed that the grapes had to be harvested at an adequate level of ripeness and he fermented different plots separately. This was all made possible thanks to the design of various small underground vats, which Rafael Barril Figueras had had the vision to build. He also promoted a natural winemaking process, controlling temperatures, hygiene and other aspects, without intervening excessively in the winemaking process. In those days, organic farming was not fashionable, but without a doubt, his ideas were very close to this concept. Little by little, the Wines became known and appreciated. 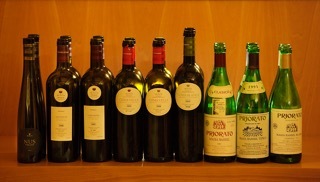 Most of the Wines were sold abroad to England and Sweden. As well as the winemaking advances, the house and gardens were also improved. Numerous aromatic species were planted with the aim of making a botanical garden with Mediterranean and medicinal plant varieties. Masia Barril came to an end in 1998, when Rafael Barril Dosset, at the age of 73 took the painful decision to sell the farmhouse. He was getting old and the work meant that he had to frequently travel from Madrid accumulating many working hours. Rafael Barril Dosset died 6 years later, the same number of years he was when he visited the estate for the first time in 1931.